Session 335. Epic session in strong winds. On the water at Frankston with James and Stuart at 7 a.m, well powered on my Lithium 9. The wind was around 20 knots and the bay surf was nice. I did one backroll with my hands close to the centre of the bar. I made it around with the kite pointing the other direction - but it didn't loop. I was enjoying surfing in then along the break, followed by a longish run back out upwind. Stuart then suggested we do a tour towards Mt Eliza so off we went. 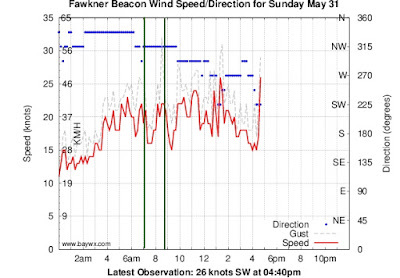 Past Frankston the wind picked up to close to 30 knots. Even with my kite fully de-powered the kite I was almost over-powered. It was a long tack down past Mt Eliza to Mornington. When we got there the wind was blasting in, so we headed back. I was initially getting pulled off my line downwind and was contemplating heading for a beach and bailing out. I fought the kite around upwind and was able to get a good tack, but I was close to "the redline". Big swells rolling it made it hard to hold and edge too as I popped over them. 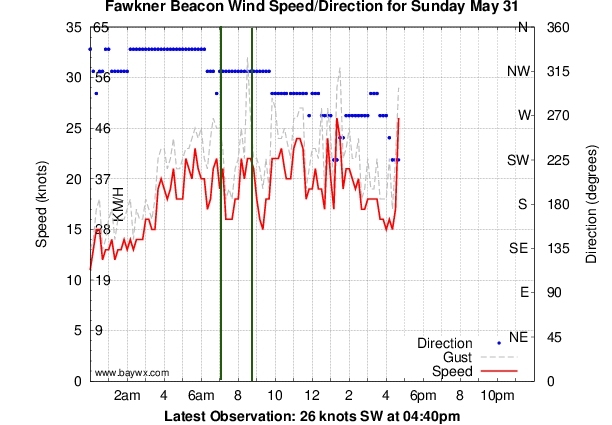 We made it back to Frankston and noticed once again there was less wind there which was nice after all that excess power. My hands were cold and numb. I did a couple of short runs in the bigger surf then self landed by flagging my kite onto the single line. On the way back I dipped the board into the water to get the sand off it while I was carrying the kite and pump. Mistake! A shore break wave caught the board and flung it into my chin. Ouch, a hard hit. Lesson learned: concentrate when rinsing the board and use both hands . . .
Back at the car I noticed my chin was cut and bleeding, so I headed home without delay. The cut was small but deepish so I ended up getting it glued by a local doctor. This didn't detract from the session though - it was marvellous! Session 334. Gnotuk delivered again. I pumped up my 12m kite in about 15 knots then the wind increased just as I was about to connect the lines, so I put it away and got my 9. 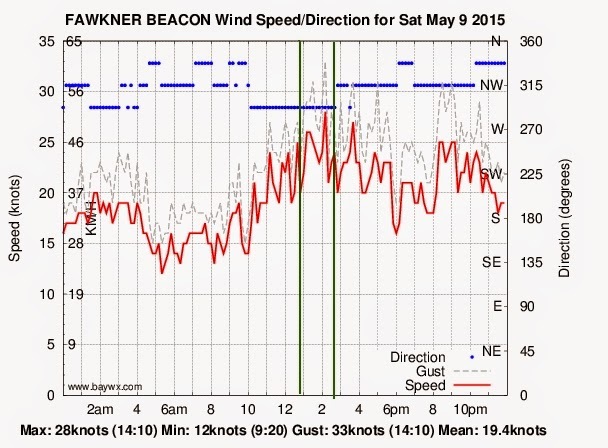 I was well powered on the water - the wind was solid and dense. A backroll kiteloop went wrong again and I crashed hard. Talking to Stuart afterwards, maybe I'm not placing my hands together on the bar to minimise turning the kite . . . 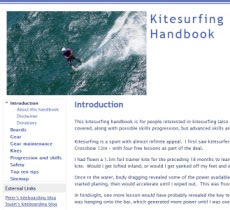 I was able to manage the wind strength, but I was getting pulled off waves as I couldn't get depower the kite enough to surf them. I swapped the Lithium 9 for my Crossbow 7 which was much better. Combined with the marvellous North Nugget board I could still go upwind with ease, but I was able to ride and enjoy the waves. Mike was having some good runs too but was also feeling overpowered. Stu and Grant came a bit later for some windsurfing. I was watching another kiter who was stationary a fair way out, then he started body dragging in. I kited over to him - he said he had lost his board. I did a couple of runs out and back looking for it but the big swells prevented me seeing it. 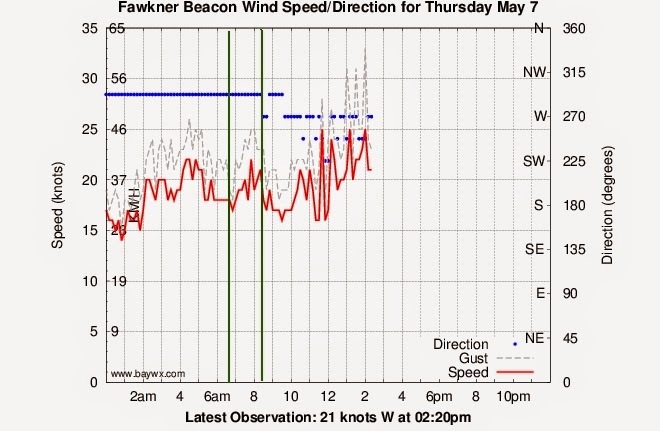 Memo to less experienced kiters: don't go too far offshore until you are confident you can hang on to or recover your gear. The strong winds provided a surprisingly good bay surf. Another excellent session. Session 334. I got down to Hampton early in the morning in the dark. I donned my Ripcurl 4/3 wetsuit and headed for the beach. Setting up in the morning twilight is strange. At one point it seemed like a light was turned on. 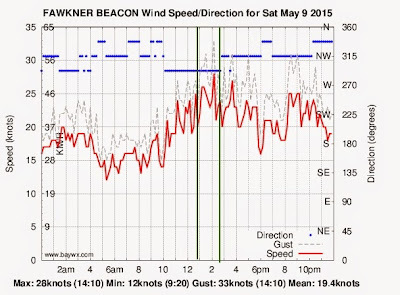 The wind was consistent at just under 20 knots and the weather looked reasonably clear. I took out my Lithium 9 in case stronger winds came in. I was quite warm on the water wearing neoprene gloves and booties along with the wetsuit and helmet. James joined me on the water then Stuart arrived. 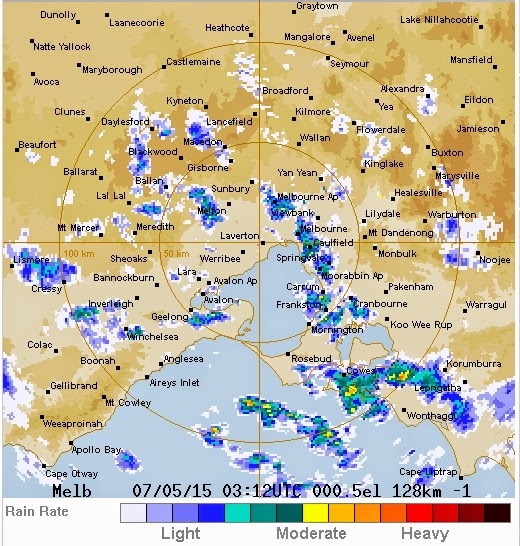 The sun rose and shone briefly on the water as Melbourne's lights went out in the daylight. Nice! Some jumps went really high. It seemed the wind was stronger about 20m up and added extra boost! I did landed a backroll kiteloops than crashed a few. There was a short stretch of flat water behind the short groyne which was perfect for fast carved turns. Stu #2 arrived and joined us and was enjoying surfing the rolling swells. A good time was had by all. We dodged the squalls that came later. . .
We stopped for an excellent coffee and muffin in Hampton on the way home.